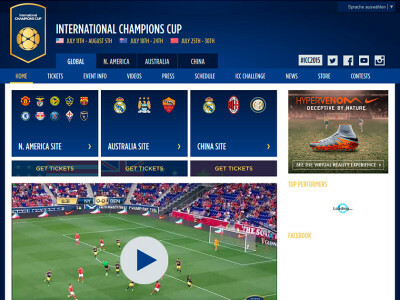 International Champions Cup 2015 is one of the major sporting events of the summer, with millions of people gathering to watch the matches either live or via their TV sets. Great football teams such as Manchester United and Real Madrid, Barcelona and Chelsea, Fiorentina and Paris Saint-Germain, New York Red Bulls and Benfica are all within our reach, handing over to us superb attractions and unique adrenaline spikes. As you can easily comprehend, there are geographical limitations as to the broadcast of these football matches. This means that not all viewers from the world can equally enjoy the matches while they take place. To be more specific, US viewers will be expected to watch the matches on Fox Sports and ESPN Deportes (for the Spanish speaking); Sky Sports 1 is the channel where the UK audience will be satisfied, while in India people can watch the games on Star Sports 2. Canal+ in Spain and GEM in Australia can also cover the needs of the viewers. From all the above, you can see why there are so many differences in the accessibility and the versatility that each person has got concerning the broadcast of Champions Cup 2015, based on their location. If you want to avoid all that and if you want to remain worry-free, no matter if you travel abroad or you do not have access to any of these channels globally, there are solutions that you can turn to – let’s have a look! VPN: Many people choose to use VPN for unblocking all the limited content, including Champions Cup 2015 matches. The whole concept beneath the use of VPN is a bunch of remotely located servers that work together and offer a plethora of solutions to the VPN subscribers. According to your needs at a time (meaning whether you wish to unblock content that is free for viewing in the US, the UK or anywhere else in the world), you choose to connect to the web via the respective server. So, you appear to be at the location that serves your needs. You also get encryption throughout your VPN connection – which is certainly an advantage to everyone who values privacy and online freedom. SmartDNS: Along with the VPN, you have also got the option of using SmartDNS. 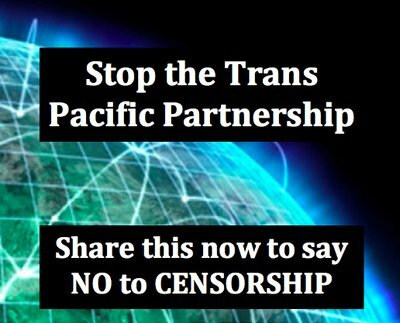 This is a solution that has to do with the unblocking of specific channels and websites, rather than the whole connection of yours. You do not get any encryption, however. So, in terms of safety, you do not get any additional boost. Still, the top benefit with the use of SmartDNS is indisputably the super-fast speed that you enjoy. In addition, you pay much lower price rates than what you would with the VPN. It is super easy to install and start using, with perfect compatibility (Windows, Mac OS X, Linux, iOS, Android, Smart TVs and gaming consoles, set-top boxes and so on). What Should I Go for between the Two? Well, we have outlined both the advantages and disadvantages of these two methods for unblocking online content and watching the football matches (and much more than that) all over the globe. Now, it is time to choose which of these two options best suits your needs and preferences. It depends on you and you alone; this means that you will enjoy the VPN more if you are a fan of online safety and privacy, if you care for the additional encryption and if you wish to have the ultimate selection of servers located everywhere in the world. If you prefer super-fast speed throughout streaming and if you wish to pay as little as possible, the SmartDNS option seems like the best way for you.